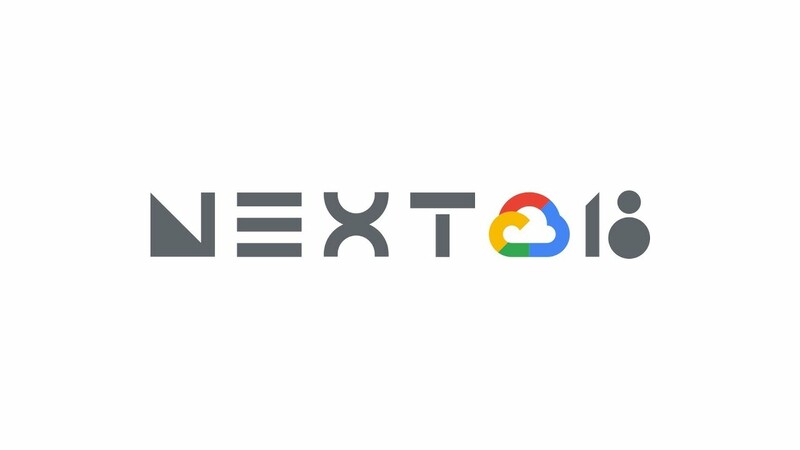 Google Cloud Next ’18 is only a few days away, and this year, there are over 500 sessions covering all aspects of cloud computing, from G Suite to the Google Cloud Platform. This is your chance to learn first-hand how to build custom solutions in G Suite alongside other developers from Independent Software Vendors (ISVs), systems integrators (SIs), and industry enterprises. “Power Your Apps with Gmail, Google Drive, Calendar, Sheets, Slides, and More!” on Tuesday, July 24th. Join me as I lead this session that provides a high-level technical overview of the various ways you can build with G Suite. This is a great place to start before attending deeper technical sessions. “Power your apps with Gmail, Google Drive, Calendar, Sheets, Slides and more” on Monday, July 23rd and Friday, July 27th. Join me for one of our half-day bootcamps! Both are identical and bookend the conference—one on Monday and another on Friday, meaning you can do either one and still make it to all the other conference sessions. While named the same as the technical overview above, the bootcamps dive a bit deeper and feature more detailed tech talks on Google Apps Script, the G Suite REST APIs, and App Maker. The three (or more!) hands-on codelabs will leave you with working code that you can start customizing for your own apps on the job! Register today to ensure you get a seat. “G Suite + GCP: Building Serverless Applications with All of Google Cloud” on Wednesday, July 25th. This session is your chance to attend one of the few hybrid talks that look at how to you can build applications on both the GCP and G Suite platforms. Learn about serverless—a topic that’s become more and more popular over the past year—and see examples on both platforms with a pair of demos that showcase how you can take advantage of GCP tools from a G Suite serverless app, and how you can process G Suite data driven by GCP serverless functions. I’m also leading this session and eager to show how you can leverage the strengths of each platform together in the same applications. “Build apps your business needs, with App Maker” and “How to Build Enterprise Workflows with App Maker” on Tuesday, July 24th and Thursday, July 26th, respectively. Google App Maker is a new low-code, development environment that makes it easy to build custom apps for work. It’s great for business analysts, technical managers, or data scientists who may not have software engineering resources. With a drag & drop UI, built-in templates, and point-and-click data modeling, App Maker lets you go from idea to app in minutes! Learn all about it with our pair of App Maker talks featuring our Developer Advocate, Chris Schalk. “The Google Docs, Sheets & Slides Ecosystem: Stronger than ever, and growing” and “Building on the Docs Editors: APIs and Apps Script” on Wednesday, July 25th and Thursday, July 26th, respectively. Check out these pair of talks to learn more about how to write apps that integrate with the Google Docs editors (Docs, Sheets, Slides, Forms). The first describes the G Suite productivity tools’ growing interoperability in the enterprise with while the second focuses on the different integration options available to developers, either using Google Apps Script or the REST APIs. “Get Productive with Gmail Add-ons” on Tuesday, July 24th. We launched Gmail Add-ons less than a year ago to help developers integrate their apps alongside Gmail. Check out this video I made to help you get up-to-speed on Gmail Add-ons! This session is for developers either new to Gmail Add-ons or want to hear the latest from the Gmail Add-ons and API team. I look forward to meeting you in person at Next ’18. In the meantime, check out the entire session schedule to find out everything it has to offer. Don’t forget to swing by our “Meet the Experts” office hours (Tue-Thu), G Suite “Collaboration & Productivity” showcase demos (Tue-Thu), the G Suite Birds-of-a-Feather meetup (Wed), and the Google Apps Script & G Suite Add-ons meetup (just after the BoF on Wed). I’m excited at how we can use “all the tech” to change the world. See you soon!